The U.S. government approved a new rule on Tuesday banning wireless carriers from using funds from a federal subsidy to buy telecommunications gear made by Chinese manufacturers. The Federal Communications Commission unanimously voted to adopt a measure that prohibits U.S. wireless companies from buying equipment from companies seen as posing a national security threat by using funds from a federal program aimed at supporting service in rural areas, tribal lands, low-income neighborhoods, and schools and libraries. FCC chairman Ajit Pai has pushed for the rule. 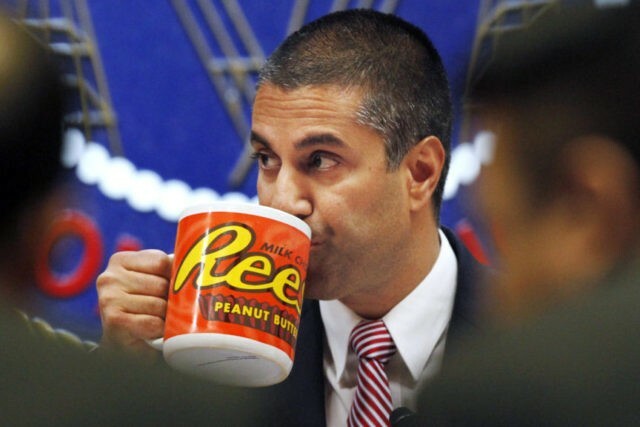 Like others in the Trump administration, Pai has expressed concerns that foreign technology firms–particularly Chinese firms–could pose national security threats by building “backdoors” into U.S. telecommunications networks. Many telecom industry leaders agree with this assessment. “All Chinese telecom equipment comes with malware,” one telecom executive told Breitbart News. China has said that it wants to become the global leader in the development and manufacture of next-generation 5G wireless service. Tuesday’s vote could create a roadblock by discouraging U.S. firms from using equipment made by Chinese firms. Although the ban only applies to the use of federal subsidies, many U.S. firms may find it easier to avoid Chinese made gear altogether, according to some telecom industry analysts. “If you can’t use China gear in one part of your network, it probably doesn’t make sense to use it in another. So you just avoid China,” the telecom executive said. He spoke on the condition of anonymity because he had not been authorized to speak on the issue. The rule will now go into the official public comment period while the FCC gathers more information. A final rule is not expected for several months.